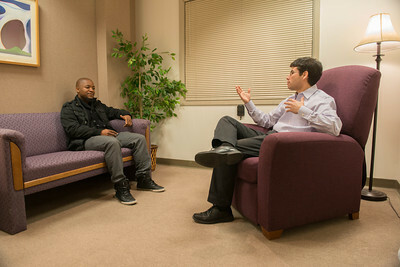 Students are trained to provide individual, couples and group psychotherapy for adults, as well as therapy designed specifically for children, adolescents, and their parents. Additionally, students gain assessment experience through the Clinic. Clients are routinely evaluated for basic personality functioning, and more extensive evaluations of intelligence and academic achievement, personality, social and emotional functioning, health-related issues, and Attention-Deficit/Hyperactivity Disorder (ADHD) are also conducted in the Clinic. Students interested in ADHD may apply to be part of the team that conducts weekly evaluations of school-age children for Attention-Deficit/Hyperactivity Disorder.